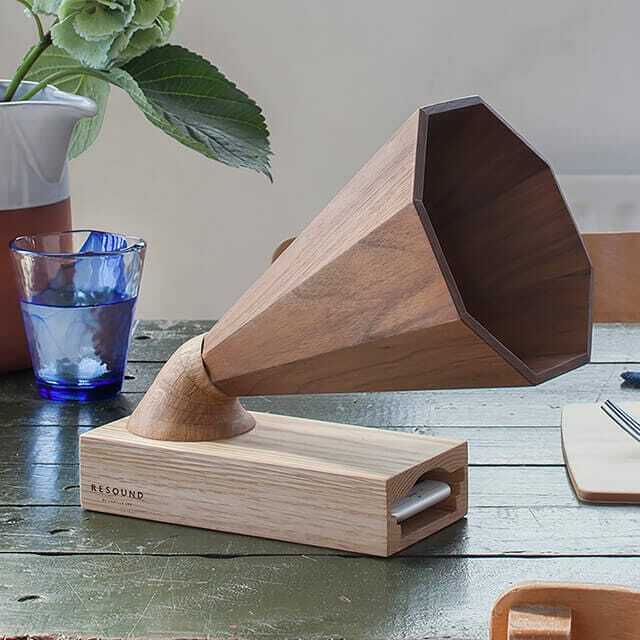 Connecting modern technology with the nostalgia of the gramophone. 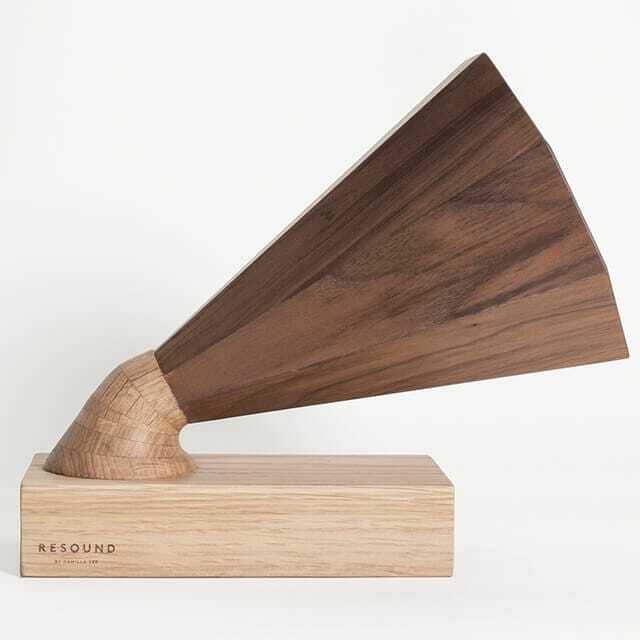 The Resound series enhances the iPhone’s music through natural materials. 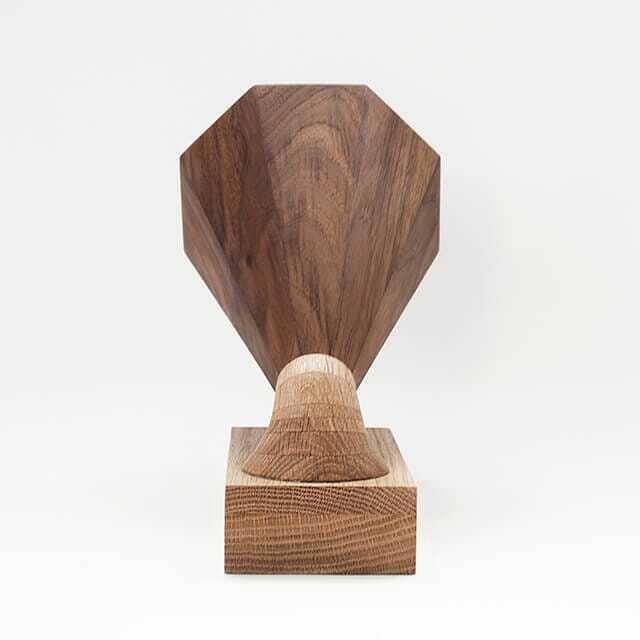 Amplifier No.1 — hand-crafted by Camilla from oak and walnut; organically transforms and projects an iPhone’s speaker system simply by slotting the device into the amplifier’s base. The amplifiers are compatible with all iPhone models. 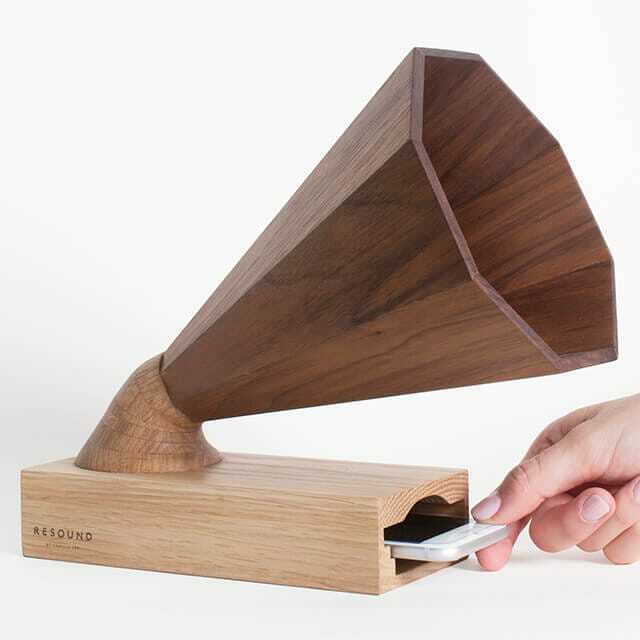 Resound is a series of organic amplifiers for iPhones by British designer Camilla Lee. 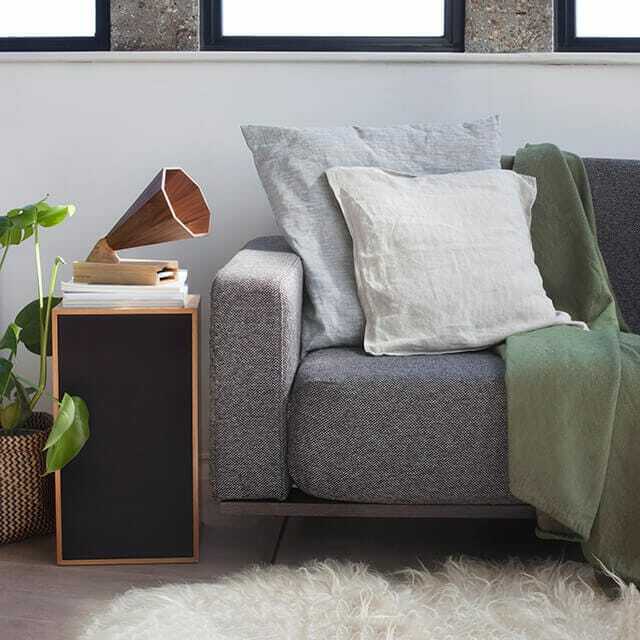 Inspired by extensive research into the therapeutic use of music, Camilla created the amplifiers to put the warmth and interaction back into music listening. Please allow 14 days upon order for Resound No.1 to be made.